I hear that when you get out of Tokyo the English disappears. But I have noticed that all of the cars in Japan have an English name and no Japanese characters to be found. Find that odd. This taxi is a Toyota “comfort” .. apt name for a taxi. 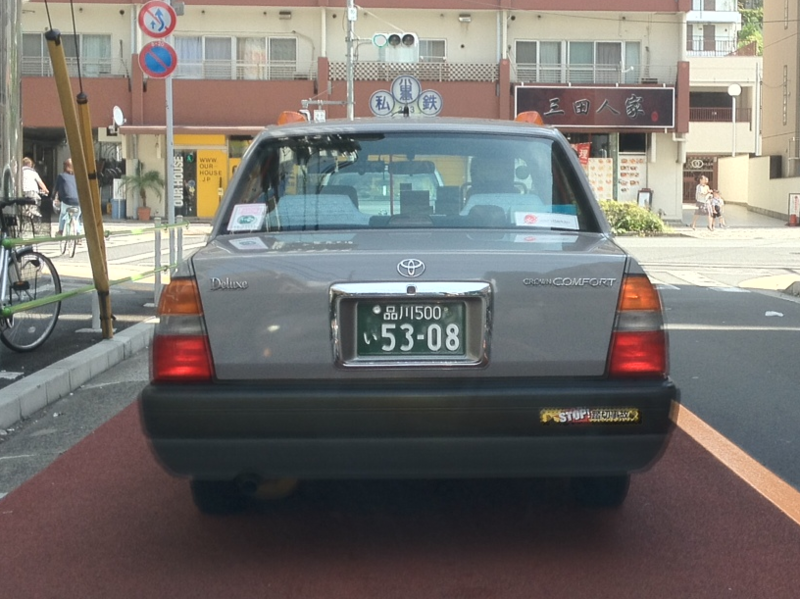 You will also note the bumper sticker (English) and the sticker in the window on the right side says “Thank-you Japan” (English). Odd. This entry was posted in Our Asia Adventure and tagged English, Japan, Tokyo by michaelweening. Bookmark the permalink.